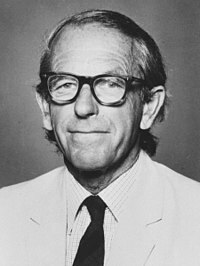 프레더릭 생어(영어: Frederick Sanger, /ˈsæŋər/, OM CH CBE FRS, 1918년 8월 13일 ~ 2013년 11월 19일)는 유전체학과 단백체학을 최초로 연구한 영국의 생화학자이다. 케임브리지 대학교 MRC 센터 소속으로, 단백질 서열을 최초로 해석해 1958년 노벨 화학상을 받았다. 생어가 최초로 해석한 단백질이 51개의 아미노산으로 이루어진 인슐린이다. 그 이후 1960-1970년대에 DNA의 염기 해석법을 개발하여 1980년 두 번째 노벨 화학상을 받았다. 동시에, 최초의 유전체인 한 바이러스와 소의 미토콘드리아의 전체 염기를 밝혀냄으로써 유전체학을 창시하였다. 미국의 로저 스타던(Roger Staden)을 통해 세계 최초의 서열정보분석프로그램 스타던 패키지(Staden Package)를 만들도록 해, 실질적으로 생물정보학을 창시한 사람이기도 하다. 이때, 미국의 마거릿 오클리 데이호프(Margaret Oakley Dayhoff)가 이론적인 서열분석을 수행하고 데이터베이스를 만들었지만, 실제는 영국 케임브리지의 MRC 센터의 그룹이 이미 이러한 데이터베이스를 구축하고 서열분석 또한 병행하고 있었다. 최초로 유전체를 해석한 이후 생어가 궁금해했던 것은 자신이 해석한 모든 유전자들의 총합인 유전체가 실제로 세포 내에서 모두 단백질로 발현되는지였다. 그래서 생어는 옥스포드대 출신의 존 E. 워커를 채용하여, 세포를 깨고 단백질을 여러 가지 방법으로 동정하는 작업을 시작했다. 이것이 최초의 단백체학이다. 이후, 존 E. 워커는 세포내에서 가장 중요한 미토콘드리아 단백질들을 많이 밝혀내고 1997년에 F1 ATPase 구조 해석으로 노벨상을 받는다. 생어가 알고자 했던 모든 단백질들의 발현인 단백체는 아직도 정확히 밝혀지지 않았다. 현재 그의 이름을 따서, MRC 센터에서 파생된 생어 센터가 케임브리지에 세워져 있다. 생어센터는 유럽생정보학연구소(EBI)와 같은 캠퍼스에 위치한다. Neuberger, A.; Sanger, F. (1942), “The nitrogen of the potato”, 《Biochemical Journal》 36 (7–9): 662–671, PMC 1266851, PMID 16747571 . Neuberger, A.; Sanger, F. (1944), “The metabolism of lysine”, 《Biochemical Journal》 38 (1): 119–125, PMC 1258037, PMID 16747737 . Sanger, F. (1945), “The free amino groups of insulin”, 《Biochemical Journal》 39 (5): 507–515, PMC 1258275, PMID 16747948, doi:10.1042/bj0390507 . Sanger, F. (1947), “Oxidation of insulin by performic acid”, 《Nature》 160 (4061): 295–296, Bibcode:1947Natur.160..295S, PMID 20344639, doi:10.1038/160295b0 . Porter, R.R. ; Sanger, F. (1948), “The free amino groups of haemoglobins”, 《Biochemical Journal》 42 (2): 287–294, PMC 1258669, PMID 16748281 . Sanger, F. (1949a), “Fractionation of oxidized insulin”, 《Biochemical Journal》 44 (1): 126–128, PMC 1274818, PMID 16748471 . Sanger, F. (1949b), “The terminal peptides of insulin”, 《Biochemical Journal》 45 (5): 563–574, PMC 1275055, PMID 15396627 . Sanger, F.; Tuppy, H. (1951a), “The amino-acid sequence in the phenylalanyl chain of insulin. 1. The identification of lower peptides from partial hydrolysates”, 《Biochemical Journal》 49 (4): 463–481, PMC 1197535, PMID 14886310, doi:10.1042/bj0490463 . Sanger, F.; Tuppy, H. (1951b), “The amino-acid sequence in the phenylalanyl chain of insulin. 2. The investigation of peptides from enzymic hydrolysates”, 《Biochemical Journal》 49 (4): 481–490, PMC 1197536, PMID 14886311, doi:10.1042/bj0490481 . Sanger, F.; Thompson, E.O.P. (1953a), “The amino-acid sequence in the glycyl chain of insulin. 1. The identification of lower peptides from partial hydrolysates”, 《Biochemical Journal》 53 (3): 353–366, PMC 1198157, PMID 13032078, doi:10.1042/bj0530353 . Sanger, F.; Thompson, E.O.P. (1953b), “The amino-acid sequence in the glycyl chain of insulin. 2. The investigation of peptides from enzymic hydrolysates”, 《Biochemical Journal》 53 (3): 366–374, PMC 1198158, PMID 13032079, doi:10.1042/bj0530366 . Sanger, F.; Thompson, E.O.P. ; Kitai, R. (1955), “The amide groups of insulin”, 《Biochemical Journal》 59 (3): 509–518, PMC 1216278, PMID 14363129 . Ryle, A.P. ; Sanger, F.; Smith, L.F.; Kitai, R. (1955), “The disulphide bonds of insulin”, 《Biochemical Journal》 60 (4): 541–556, PMC 1216151, PMID 13249947 . Brown, H.; Sanger, F.; Kitai, R. (1955), “The structure of pig and sheep insulins”, 《Biochemical Journal》 60 (4): 556–565, PMC 1216152, PMID 13249948 . Sanger, F. (1959), “Chemistry of Insulin: determination of the structure of insulin opens the way to greater understanding of life processes”, 《Science》 129 (3359): 1340–1344, Bibcode:1959Sci...129.1340G, PMID 13658959, doi:10.1126/science.129.3359.1340 . Milstein, C.; Sanger, F. (1961), “An amino acid sequence in the active centre of phosphoglucomutase”, 《Biochemical Journal》 79 (3): 456–469, PMC 1205670, PMID 13771000 . Marcker, K.; Sanger, F. (1964), “N-formyl-methionyl-S-RNA”, 《Journal of Molecular Biology》 8 (6): 835–840, PMID 14187409, doi:10.1016/S0022-2836(64)80164-9 . Sanger, F.; Brownlee, G.G. ; Barrell, B.G. (1965), “A two-dimensional fractionation procedure for radioactive nucleotides”, 《Journal of Molecular Biology》 13 (2): 373–398, PMID 5325727, doi:10.1016/S0022-2836(65)80104-8 . Brownlee, G.G. ; Sanger, F.; Barrell, B.G. (1967), “Nucleotide sequence of 5S-ribosomal RNA from Escherichia coli”, 《Nature》 215 (5102): 735–736, Bibcode:1967Natur.215..735B, PMID 4862513, doi:10.1038/215735a0 . Brownlee, G.G. ; Sanger, F. (1967), “Nucleotide sequences from the low molecular weight ribosomal RNA of Escherichia coli”, 《Journal of Molecular Biology》 23 (3): 337–353, PMID 4291728, doi:10.1016/S0022-2836(67)80109-8 . Brownlee, G.G. ; Sanger, F.; Barrell, B.G. (1968), “The sequence of 5S ribosomal ribonucleic acid”, 《Journal of Molecular Biology》 34 (3): 379–412, PMID 4938553, doi:10.1016/0022-2836(68)90168-X . Adams, J.M. ; Jeppesen, P.G. ; Sanger, F.; Barrell, B.G. (1969), “Nucleotide sequence from the coat protein cistron of R17 bacteriophage RNA”, 《Nature》 223 (5210): 1009–1014, Bibcode:1969Natur.223.1009A, PMID 5811898, doi:10.1038/2231009a0 . Barrell, B.G. ; Sanger, F. (1969), “The sequence of phenylalanine tRNA from E. coli”, 《FEBS Letters》 3 (4): 275–278, PMID 11947028, doi:10.1016/0014-5793(69)80157-2 . Jeppesen, P.G. ; Barrell, B.G. ; Sanger, F.; Coulson, A.R. (1972), “Nucleotide sequences of two fragments from the coat-protein cistron of bacteriophage R17 ribonucleic acid”, 《Biochemical Journal》 128 (5): 993–1006, PMC 1173988, PMID 4566195, doi:10.1042/bj1280993h . Sanger, F.; Donelson, J.E. ; Coulson, A.R. ; Kössel, H.; Fischer, D. (1973), “Use of DNA Polymerase I Primed by a Synthetic Oligonucleotide to Determine a Nucleotide Sequence in Phage f1 DNA”, 《Proceedings of the National Academy of Sciences USA》 70 (4): 1209–1213, Bibcode:1973PNAS...70.1209S, PMC 433459, PMID 4577794, doi:10.1073/pnas.70.4.1209 . Sanger, F.; Coulson, A.R. (1975), “A rapid method for determining sequences in DNA by primed synthesis with DNA polymerase”, 《Journal of Molecular Biology》 94 (3): 441–448, PMID 1100841, doi:10.1016/0022-2836(75)90213-2 . Sanger, F.; Nicklen, S.; Coulson, A.R. (1977), “DNA sequencing with chain-terminating inhibitors”, 《Proceedings of the National Academy of Sciences USA》 74 (12): 5463–5467, Bibcode:1977PNAS...74.5463S, PMC 431765, PMID 271968, doi:10.1073/pnas.74.12.5463 . According to the Institute for Scientific Information (ISI) database, by October 2010 this paper had been cited over 64,000 times. Sanger, F.; Air, G.M. ; Barrell, B.G. ; Brown, N.L. ; Coulson, A.R. ; Fiddes, C.A. ; Hutchinson, C.A. ; Slocombe, P.M.; Smith, M. (1977), “Nucleotide sequence of bacteriophage φX174 DNA”, 《Nature》 265 (5596): 687–695, Bibcode:1977Natur.265..687S, PMID 870828, doi:10.1038/265687a0 . Sanger, F.; Coulson, A.R. (1978), “The use of thin acrylamide gels for DNA sequencing”, 《FEBS Letters》 87 (1): 107–110, PMID 631324, doi:10.1016/0014-5793(78)80145-8 . Sanger, F.; Coulson, A.R. ; Barrell, B.G. ; Smith, A.J. ; Roe, B.A. (1980), “Cloning in single-stranded bacteriophage as an aid to rapid DNA sequencing”, 《Journal of Molecular Biology》 143 (2): 161–178, PMID 6260957, doi:10.1016/0022-2836(80)90196-5 . Anderson, S.; Bankier, A.T.; Barrell, B.G. ; De Bruijn, M.H. ; Coulson, A.R. ; Drouin, J.; Eperon, I.C. ; Nierlich, D.P. ; Roe, B.A. ; Sanger, F.; Schreier, P.H. ; Smith, A.J. ; Staden, R.; Young, I.G. (1981), “Sequence and organization of the human mitochondrial genome”, 《Nature》 290 (5806): 457–465, Bibcode:1981Natur.290..457A, PMID 7219534, doi:10.1038/290457a0 . Anderson, S.; De Bruijn, M.H. ; Coulson, A.R. ; Eperon, I.C. ; Sanger, F.; Young, I.G. (1982), “Complete sequence of bovine mitochondrial DNA. Conserved features of the mammalian mitochondrial genome”, 《Journal of Molecular Biology》 156 (4): 683–717, PMID 7120390, doi:10.1016/0022-2836(82)90137-1 . Sanger, F.; Coulson, A.R. ; Hong, G.F.; Hill, D.F. ; Petersen, G.B. (1982), “Nucleotide sequence of bacteriophage λ DNA”, 《Journal of Molecular Biology》 162 (4): 729–773, PMID 6221115, doi:10.1016/0022-2836(82)90546-0 . Sanger, F. (1988), “Sequences, sequences, and sequences”, 《Annual Review of Biochemistry》 57: 1–28, PMID 2460023, doi:10.1146/annurev.bi.57.070188.000245 . ↑ “Seven days: 22–28 November 2013”. 《Nature》 503 (7477): 442–443. 2013. Bibcode:2013Natur.503..442.. doi:10.1038/503442a. ↑ Allen, A.K. ; Muir, H.M. (2001). “Albert Neuberger. 15 April 1908 – 14 August 1996”. 《Biographical Memoirs of Fellows of the Royal Society》 47: 369–382. JSTOR 770373. PMID 15124648. doi:10.1098/rsbm.2001.0021. ↑ “Supplement to The London Gazette: 1963 Birthday Honours”. 《The Gazette》 (영어) (런던) (43010): 4803. 1963년 5월 31일. 2016년 10월 8일에 확인함. ↑ “Supplement to The London Gazette: 1981 Birthday Honours”. 《The Gazette》 (영어) (런던) (48639): 20. 1981년 6월 12일. 2016년 10월 8일에 확인함. ↑ “Honours and Awards”. 《The Gazette》 (영어) (런던) (50431): 2173. 1986년 2월 14일. 2016년 10월 8일에 확인함. Brownlee, George G. (2014). 《Fred Sanger, double Nobel laureate: a biography》. Cambridge, UK: Cambridge University Press. ISBN 978-1-107-08334-9. Chapters 4-6 contain the 1992 interview that the author conducted with Sanger. Finch, John (2008), 《A Nobel Fellow on every floor: a history of the Medical Research Council Laboratory of Molecular Biology》, Cambridge: Medical Research Council, ISBN 978-1-84046-940-0 . García-Sancho, Miguel (2010). “A new insight into Sanger's development of sequencing: from proteins to DNA, 1943–1977”. 《Journal of the History of Biology》 43: 265–323. doi:10.1007/s10739-009-9184-1. Sanger, F.; Dowding, M. (1996), 《Selected Papers of Frederick Sanger: with commentaries》, Singapore: World Scientific, ISBN 981-02-2430-3 . 위키미디어 공용에 프레더릭 생어 관련 미디어 분류가 있습니다.